Does Frank Ocean Have a Vans Collaboration Coming? Leaked merch hits his website. Soon enough Tyler, the Creator won't be the only Odd Future member with his own Vans sneaker. Leaked images discovered by The Fader on Frank Ocean's website suggest that a pair of Vans Sk8-His is coming soon from the singer. This and other merch items are linked to the pending release of Ocean's next album, which is rumored to be right around the corner. Complex confirms that the Frank Ocean x Vans Sk8-Hi colorway was designed by the man himself. 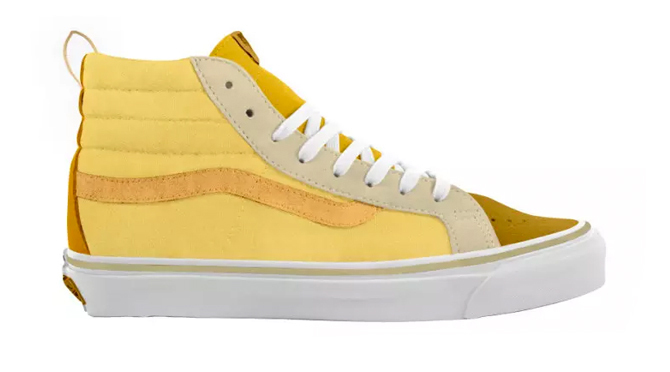 There is no sneaker release date yet for this upcoming Vans collaboration.